Before you are going to delete a staging website it’s a good idea to create a full backup of your production website and any other staging website you want to keep, first before executing the delete process. If you get an error message and can not delete the staging site please try to delete it manually. Click on the button “Remove” and WP Staging will delete the entire staging website without touching your production website. 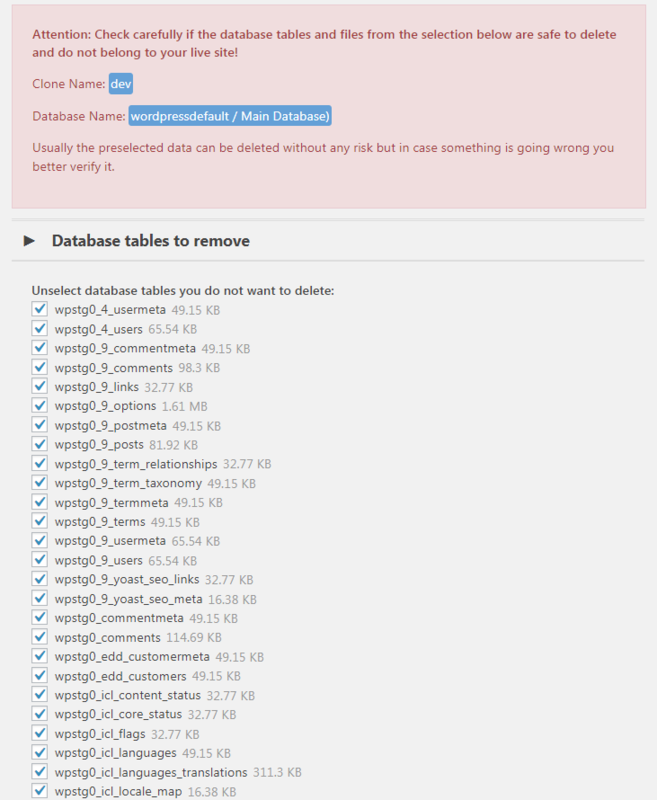 It’s possible that even after deleting all staging sites you still see some WP Staging tables in the database or some files left in the file directories. This can happen if a cloning process has been interrupted and did not go to the end successfully. Read this article to find out how to delete a staging website manually.